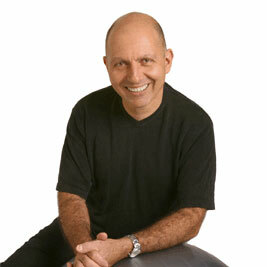 Internationally renowned posture expert, Dr. Steven Weiniger, has trained tens of thousands of doctors, therapists, and trainers to first rehab injuries and then help keep patients moving well with StrongPosture® rehab protocols. Dr. Weiniger founded the advanced CPEP® posture specialist certification setting the clinical standard for posture improvement protocols with clinicians worldwide. He is a postgraduate instructor for University of Western States and also conducts professional training and continuing education seminars. He literally wrote the book on improving posture, Stand Taller Live Longer: An Anti-Aging Strategy, and created the 5 Posture Principles. Dr. Weiniger also authored Posture Pictures: Assessment, Screenings, Marketing and Forms, and the postural assessment chapter in Photographic Manual of Regional Orthopedic and Neurological Tests. Dr. Weiniger’s expertise is featured extensively in media, including, NBC, ABC, CBS, FOX, AARP, Prevention, Bottom Line, Real Simple, SHAPE, Women’s Health and Family Circle. As delegate to the White House Conference on Aging, held by the President of the United States and Congress, he helped to develop recommendations on issues, policy and research in the field of aging. Dr. Weiniger spearheads the annual Posture Month campaign, a global public health effort that bands together health professionals to educate millions about the impact posture has on health. In an initiative to promote posture awareness, Dr. Weiniger along with his team at BodyZone.com developed PostureZone, the free posture assessment app. Dr. Weiniger can be reached at PosturePractice.com.